Year is going to end and I was not much active here. I revived by other blog with 30 days posting without a break. 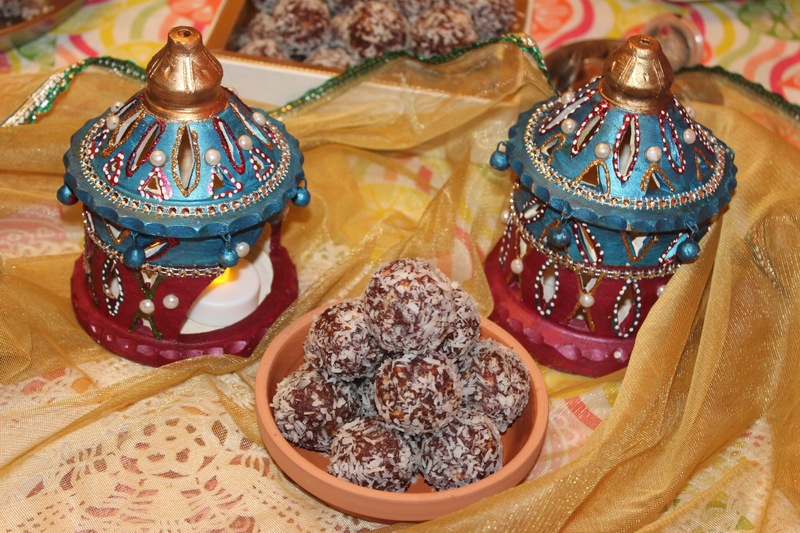 These dates laddu I made it for Diwali. I thought of making something healthy without extra carbos. So these laddus are sugar free as dates itself are sweet. Take all the nut in a grinder and crush them. Here we are not making fine powder but coarsley grinding them. Take a pan. Add ghee. when ghee melts add dates. Saute for a while, dates starts sticking to each other. Turn off the flame. Add nuts. Take little ghee on palms and make round balls. In a plate take dry coconut powder and roll the ladoos in it.